It is always a pleasure to work with our favourite engineering experts, Carter Sullivan, and we are delighted to be a part of their recent project in partnership with Eaton Power, xStorage Home. xStorage Home is a unique domestic energy storage system developed by Eaton in collaboration with Nissan, and installed in your homes by Carter Sullivan. It provides homeowners with continual access to secure, reliable and sustainable sourced energy through its unique use of battery technology – and best of all, you can save money too! 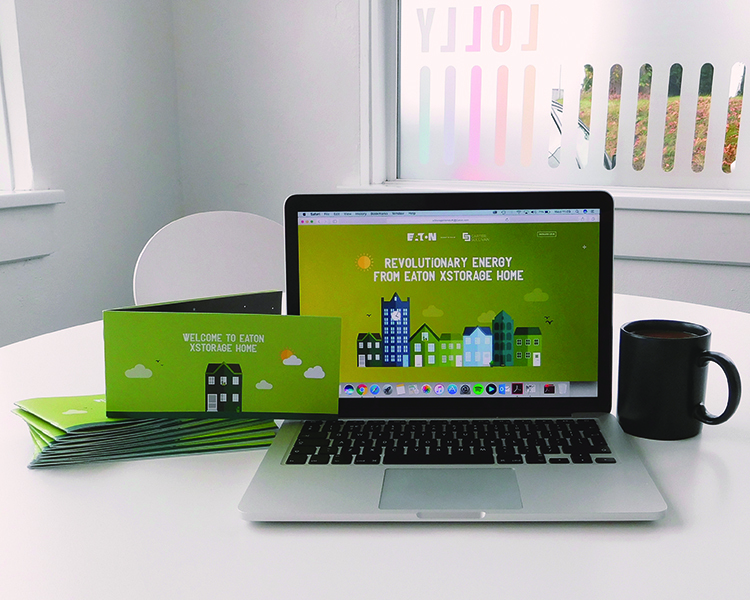 We have been busy helping to get the ball rolling towards a more sustainable society, designing a leaflet for our clients to send out to their prospective customers, each personalised with the customer’s name and unique registration number. We are very excited to be a part of this fantastic project, and cannot wait to see the reaction to this brilliant scheme.